I have been getting requests for a DELTA ONLY mileage run deals page. 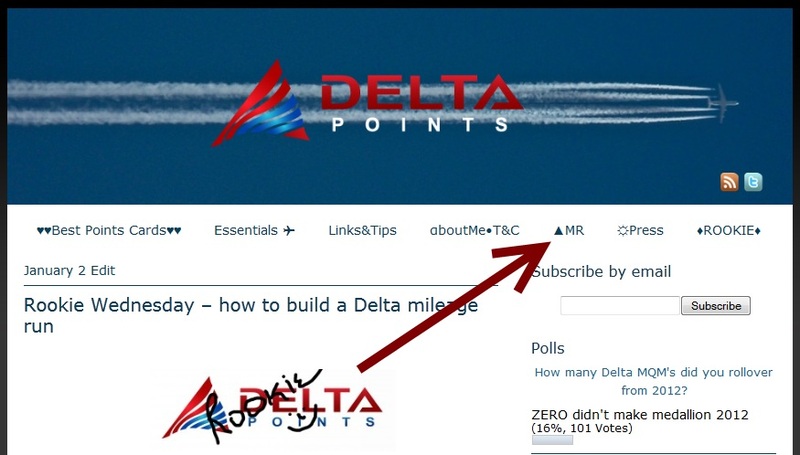 I get that the FlyerTalk mileage run board can be a bit “messy” and is not focused solely on Delta Air Lines. So, why don’t we just make our own to help each other become better Delta mileage runners! I also would greatly appreciate support from YOU, the reader, as well. Please, if you find a good deal on a DELTA run, e-mail me so I can share it with your fellow flyers! Other information about this new tab. I had to squeeze together the links & tips tabs into one, but it works I think and will free up the space for the new ▲MR tab. Also, clearly I cannot list every airport in the world and have as main categories the Delta HUB airports. This is done because often these routes are the hardest to find good deals on and are requested the most. I will also list airports “close” that is, say up to 100 miles from these hubs. All the other airports will be in the bottom sections. ← Coke Rewards – just about out of travel goodies! Delta is huge at LAX, and though it may not be a hub, it sure is a focus city. Oh great idea! Yay JFK made cut! Thanks for including CVG! I know my airport doesn’t always get a lot of love from Delta, but I appreciate that you have it listed on your new MR page! Great idea, use flyer talk a lot but this looks better for Delta flights.